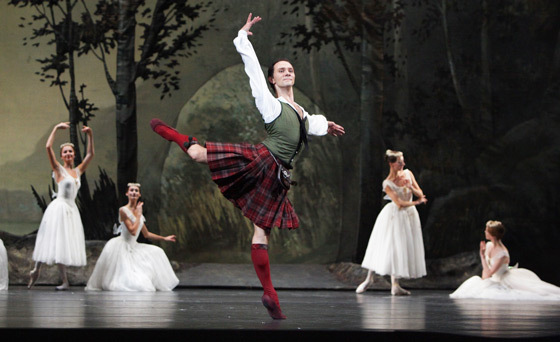 The Sedona International Film Festival presents Ballet in Cinema on Sunday, Nov. 11 when it hosts the big screen premiere of “La Sylphide” from the Bolshoi Ballet in Moscow. There will be one show at 4:00 p.m. at the festival’s Mary D. Fisher Theatre. Sedona audiences get to see the production the same day it premieres in Moscow! “La Sylphide” features Libretto by Adolphe Nourrit and Philippo Taglioni, with music direction by Pavel Klinichev and choreography by August Bournonville. Production and new choreography is by Johan Kobborg. The cast includes the Bolshoi’s principal dancers and soloists (including Anastasia Stashkevich, Semyon Chudin and Anna Balukova), accompanied by the corps de ballet from the Bolshoi. “La Sylphide” is one of the world’s oldest surviving ballets, and a treasure in Danish ballet master August Bournonville’s style. Staged for the Bolshoi by Bournonville expert Johan Kobborg, this production is the ultimate romantic masterpiece.